Acclaim Building Contractors can repair existing brickwork or provide new constructions to enhance the appeal of your home. Brickwork is an essential facet of your home, and we at Acclaim Building Contractors understand you want to keep it in the best condition, so we offer a range of brickwork services to meet your needs. We can also help with new brickwork construction, allowing you the opportunity to create the home you have always wanted. Whatever your brickwork requirements, we want you to feel comfortable to discuss the project with us, make suggestions, and engage with the end result. We take pride in our focus on customer satisfaction and we want customers to feel confident relying on the work that we undertake. We ensure that you are provided with a range of options throughout the project and are happy to advise you on decision-making if required. We will endeavour to deliver the very best service possible, so you can become another one of our highly satisfied customers. When it comes to brickwork services and bricklaying, we at Acclaim Building Contractors can supply all the services you need. 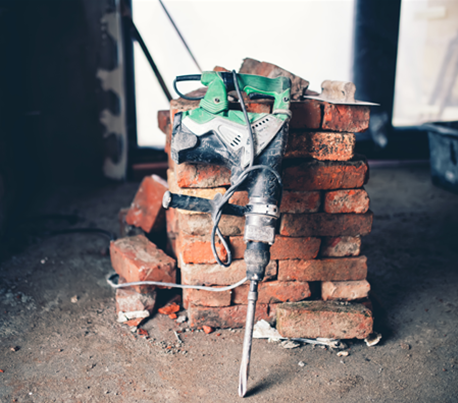 No job is too big or too small, so whether you have new grand construction plans or are just in need of a small repair, get in touch with us to discuss your project today. Whatever you require, if it’s related to bricks, then we can help. Our focus on producing the best quality of workmanship is the level of dedication that you deserve, and we guarantee you’ll be delighted with your project. We only employ NVQ or City and Guilds qualified specialists, so you can be sure all work is being supervised and undertaken by expert eyes. We have over 25 years worth of experience in the industry, giving us time to develop unique working relationships and always guarantee that the best quality resources are used. We can construct new brickwork projects using new or unclaimed bricks. Perhaps you want to build a new garden wall, a brick barbecue, or even an entirely new house-- we can do it all. We undertake all design and planning work for new structures and welcome your input so that our work is completed exactly to your specifications..
We can repair damaged brickwork on the exterior of your home, including any repointing work that you may require. If we are carrying out brick restoration, we will ensure that we find as close a match as possible to your existing bricks so our work blends in seamlessly. We can also help identify the source of the damage and provide assistance to rectify the issue if required. We are familiar with all kinds of bricks thanks to the knowledge of our experienced bricklayers, so you can be sure we’ll be able to work with whichever materials you wish to use.